Trust the well-being of your bike to Recovery 1 Towing LLC, a reputable motorcycle towing company. We offer motorcycle towing services in Upper Marlboro, MD, for anyone that has a nonfunctioning bike they need to move to another location. 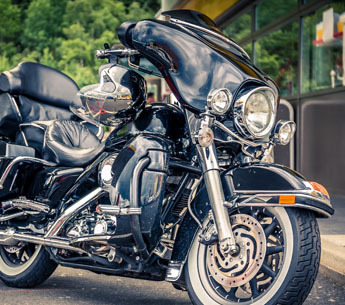 Whether you broke down on the side of road or you need us to haul it from your home to the auto repair shop, you can depend on our motorcycle towing service to get it there safely. Most motorcycle owners care deeply about the condition of their bikes. They make sure they are not only running perfectly but also looking flawless. That is why it can be stressful for bike owners when they need to call a motorcycle towing service. The last thing they want is to entrust their bike to a seedy towing company that doesn't take care of the vehicles being towed. If you are a concerned motorcycle owner in need of a towing service, allow our towing company to put your fears to rest. We work quickly, but we also take the time to ensure every motorcycle we tow is properly secure, so there is no chance of it incurring any damage while being towed. Our team treats every bike we tow as if it were our own. You can feel confident that your motorcycle arrives at its destination in the same condition it was in when you left it in our care. Take care of your bike when it breaks down by calling us for motorcycle towing service. We promptly respond to all service calls, so you can expect us to be there soon. Once we arrive, we assess the situation and determine whether or not we can fix your bike. If you cannot start your motorcycle because it has a dead battery, we can jump it for you. If the problem is serious, we tow your bike to an auto shop that performs the necessary repairs. For the most reliable motorcycle towing services, call our company first. We have more than 10 years of experience in the towing industry, and we know how to accommodate your needs. We provide 24/7 pickup, because you never know exactly when or where you will require towing service. Since customer convenience is important to us, we average response times of 35 to 40 minutes. You can expect us to arrive promptly at your location and tow your motorcycle away safely, ensuring it gets exactly where it needs to be. Contact us today with any questions about our motorcycle towing services. We proudly serve Upper Marlboro, Landover, Brandywine, Shelton, and Bowie, MD, as well as the surrounding areas.